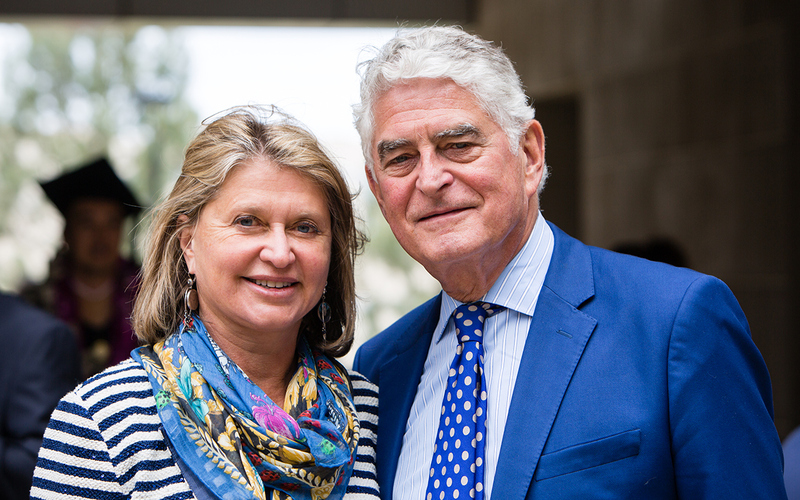 The University of California San Diego has received a $1 million gift from business leader Rafael Pastor and his wife, Marina, to support the Rady School of Management and the School of Global Policy and Strategy. With this gift—to be matched dollar for dollar by the UC San Diego Chancellor’s Faculty Fellowship Challenge—two leading professional schools will enhance their capability to retain and attract world-class faculty to campus. At the Rady School of Management, the gift will endow two faculty fellowships at $250,000 each to support efforts for UC San Diego faculty affiliated with the U.S.­-Israel Center on Innovation and Economic Sustainability. The faculty awarded the fellowships will focus research, teaching and programs on the influence and exchange of entrepreneurship, innovation and economic development between the United States and Israel. Throughout his career, based in New York, Pastor has held senior executive positions at international corporations including CEO of Hoyts Cinemas Corporation; President of USA Networks International; Executive Vice President, International, of News Corporation and Fox Television International; and President of CBS/Fox Video International. He is also a founding partner of an investment-banking firm. Pastor moved to San Diego in 2004 and from that time to 2013, he was Chairman of the Board and CEO of Vistage International, the world’s largest for-profit CEO membership company. Currently, he serves on the boards of and is an investor in a range of companies. He is active in the UC San Diego community and is currently the chairman of the International Advisory Board at the School of Global Policy and Strategy, and a member of the Dean’s Advisory Council at the Rady School. He was born in Israel to Hungarian parents, and speaks several languages.